Monobloc batteries, for light-duty traction applications, are available in two technologies; Powerbloc flooded batteries and Powerbloc Dry totally maintenance free gas recombination batteries. We are leading supplier of Monobloc Batteries. Monobloc Batteries for Uninterrupted Power Systems and Inverters. Monoblock batteries can also be used for golf cart application and other semi-traction application. Exide manufactures Monobloc Batteries for Uninterrupted Power Systems and Inverters. Monoblock batteries can also be used for golf cart application and other semi-traction application. 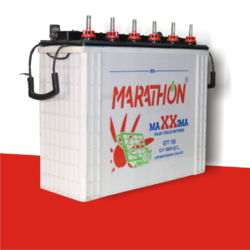 Monobloc batteries are manufactured both in the pasted and tubular designs. Case and Cover: Heat sealed, lightweight, crack resistant, molded high impact polypropylene. CWIIL Group Asia Pacific Corporate Communications H.Q.